Spectacle pod blooms in spring. Its unique, two-lobed fruits are visible attached to the stem. 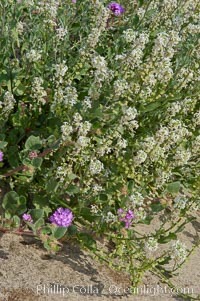 It is a common ephemeral spring wildflower, found in washes of the Colorado Desert. Anza Borrego Desert State Park. Dithyrea Californica Photo. Spectacle pod blooms in spring. Its unique, two-lobed fruits are visible attached to the stem. It is a common ephemeral spring wildflower, found in washes of the Colorado Desert. Anza Borrego Desert State Park. Dithyrea Californica Picture. 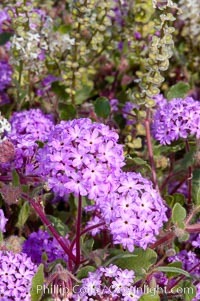 Spectacle pod (white/green) mixes with desert verbena (purple). Both are common ephemeral spring wildflowers of the Colorado Desert. Anza Borrego Desert State Park. Stock Photography of Dithyrea Californica. 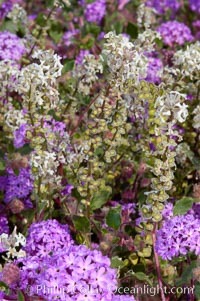 Spectacle pod (white/green) mixes with desert verbena (purple). 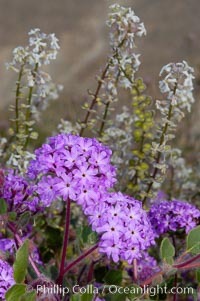 Both are common ephemeral spring wildflowers of the Colorado Desert. Anza Borrego Desert State Park. 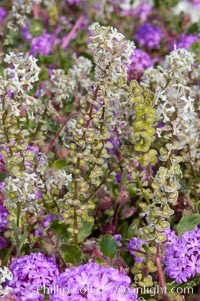 Photograph of Dithyrea Californica. Spectacle pod blooms in spring. It is a common ephemeral spring wildflower, found in washes of the Colorado Desert. Anza Borrego Desert State Park. Dithyrea Californica Photos.